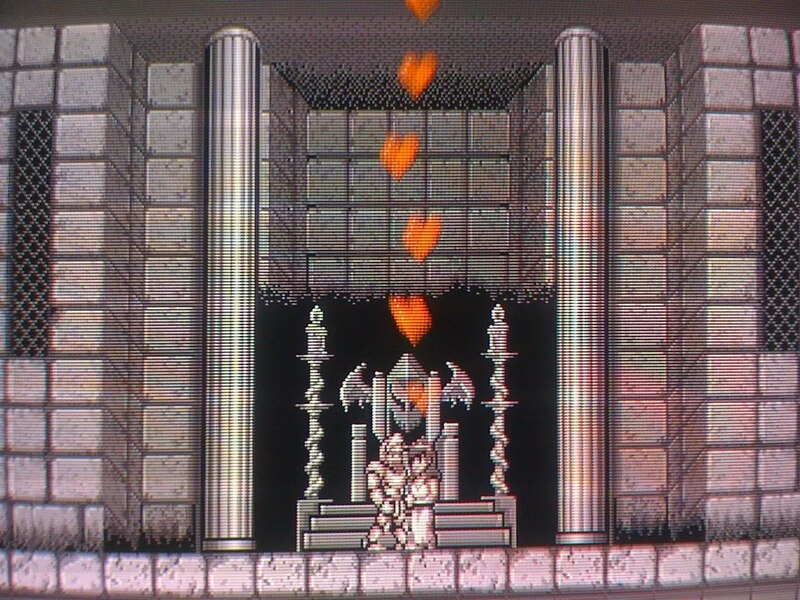 If you have been following my blog these past few months, you know how much time I have sunk into Ghosts 'N Goblins. I dig it. It's hard, but enjoyable and Capcom mostly seems to hit it out of the park with their arcade platformers. So, after getting Dave's cab and keeping it as a horizontal cab, I decided to try and scrounge up a few good hori games. I got this in a good trade with a fellow shmups member who ended up taking the Deathsmiles kit in trade for this and another new board on my list. 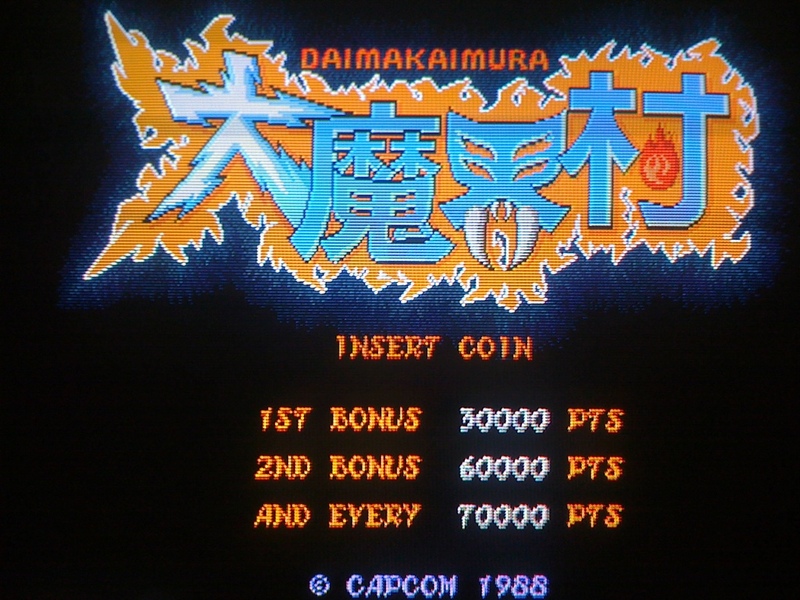 Daimakaimura is the sequel to GnG and is a fantastic platformer - way easier and more fun than the original. The music is as haunting as the first with a good fantasy theme and just gets stuck in your head instantly. The graphics are also of supreme quality, with very detailed sprites and backgrounds. There is so much good enemy sprite and background interaction that it lends a depth to the game you might not even notice at first, as ghouls pop out from behind trees in the background and red devils sit on piles of skulls. I have found myself enjoying the hell out of this, wishing I had more time after work this week to enjoy it. Last night, I got a chance to get a few games in before I had to roll home and later, after I was out with friends for a weekly get together, I almost drove back to work to play for a while, but I knew I would have been there waaaaay to late into the morning to do me any good the next day. man, you're making great acquisitions left and right, here. i've only played a little of daimakaimura but didn't take to it much. 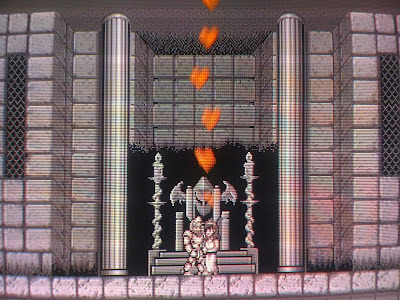 say, do you have any thoughts on super ghouls 'n' ghosts? the only commentary on it i can recall is pretty scathing (http://www.jap-sai.com/Games/Chohmakaimura/Chohmakaimura.htm). I think I have only played that once or twice and dion't really remember anything about it, although one of my favorite Let's Play'ers, NintendoCapriSun, did a Let's Play of it - I have just never watched. I will have to check it out at some point though. Man! Crazy score (not a points one). In my mind Daimakaimura is one of the best games around. And is personally one of my top favorite games of all time. A lot of ways to play it with the different weapons. It is pretty awesome for sure1 I haven't spent too much time with it, only getting to the end of the second level with some regularity now. I reallly have to put this in the cab when I get a chance next.